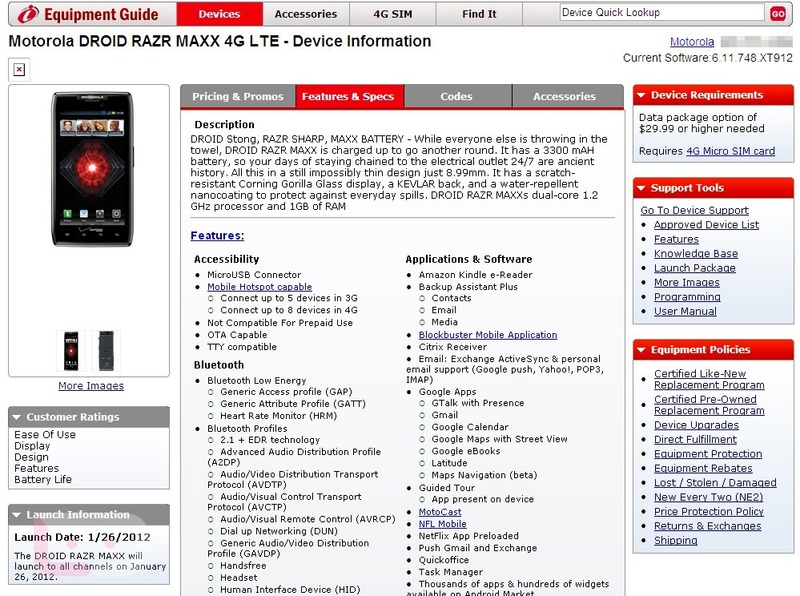 One of our readers noticed over the weekend that Motorola’s landing page for the DROID RAZR MAXX had an availability date of January 26. Once we posted it, the news quickly spread and Moto realized that they jumped the gun with it, almost instantly switching it to “available soon.” It looks now like Moto was indeed right, as Verizon is expecting the “all channel” launch to take place on that very same day, January 26. We were big fans of the RAZR MAXX after getting our hands on it at CES last week, even calling it our top phone of the event. When it hits stores next Thursday, you can gobble it up for $299 on contract.